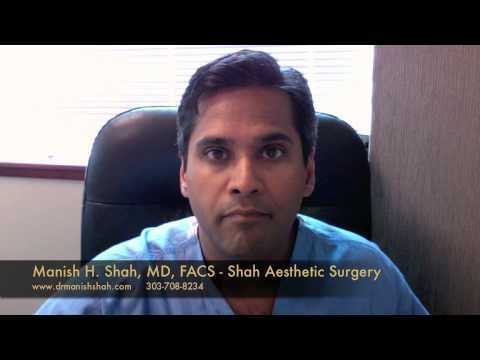 Dr. Manish Shah of Shah Aesthetic Surgery in Denver, Colorado demonstrates a multi-pass treatment of RF microneedling to the perioral (mouth) area of a woman in her 50's. He is using the state of the art Venus Viva by Venus Concept. This patient is concerned with wrinkles around the mouth, smoker's lines on the lips, and hyperpigmentation. Dr. Shah performed one general pass around the mouth and 3 more passes on the most wrinkled areas. 160 pins of RF energy heat the tissues down to 500 microns to provide for epidermal and dermal remodeling. The end result is improved texture and collagen in the skin with significant wrinkle reduction. This treatment has a quicker recovery and lower risk than laser resurfacing.